Just when you thought every children’s toy was powered exclusively by batteries, along comes a one that is powered by a child’s imagination. 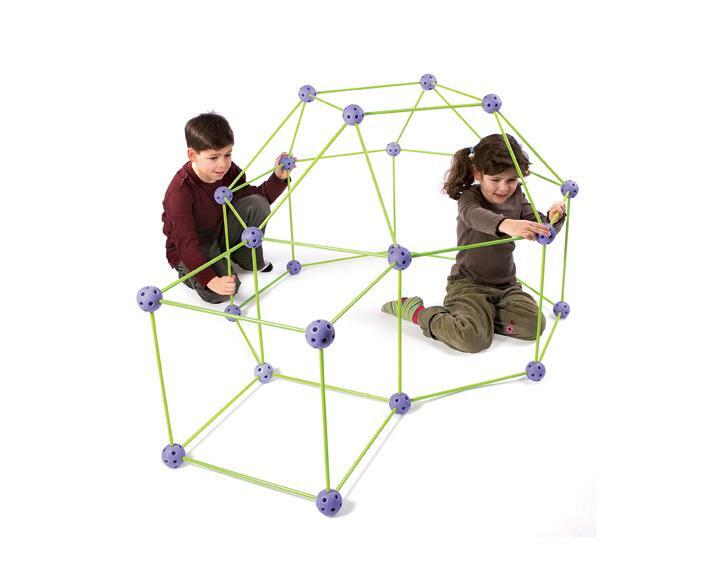 A single Crazy Forts kit contains 25 geometrically precise balls and 44 sticks that connect to create a multitude of possible play structures. Simply throw a bed sheet over top and watch their creativity flourish. A rocket today, an undiscovered cave tomorrow, a princess castle one day and a wild horse in a corral next week are all possible with Crazy Forts. And toys that promote collaborative play between boys and girls are few and far between. The more you have, the better it gets as multiple kit structures are even more impressive. 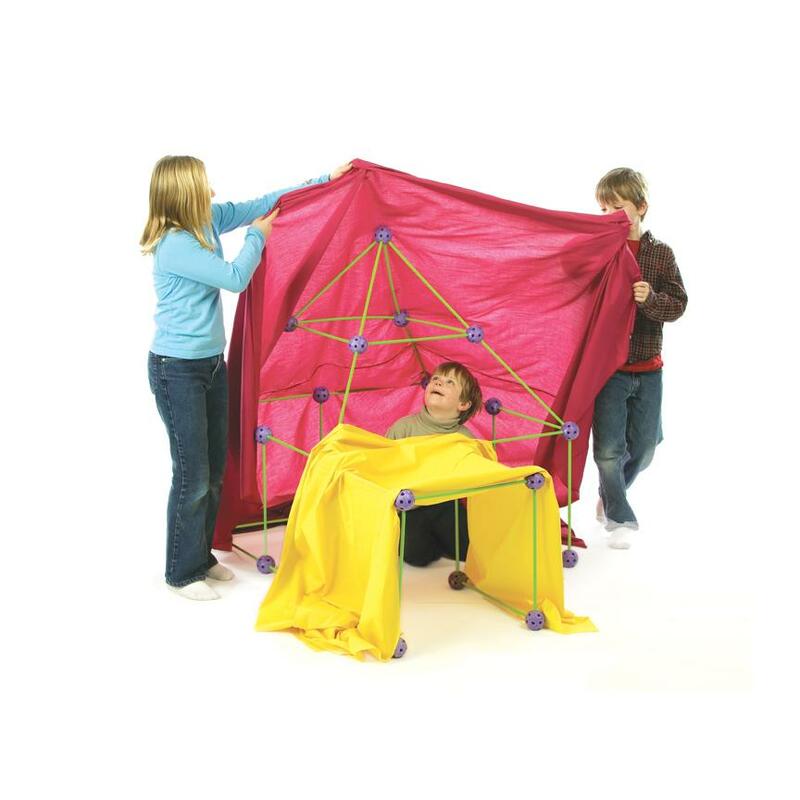 Children learn through play and this toy allows them to mentally visualize a structure and easily create it. It also allows them to grasp rudimentary engineering and physics concepts in a fun way. It’s perfect for outdoor and indoor play and best of all, there’s no couches or chairs to put back in place when play is over.